Gravity Rush 2‘s online functionality will remain active for several more months. Sony announced back in September that they would shut down the game’s online servers on January 18th, only a year after the game’s initial release. 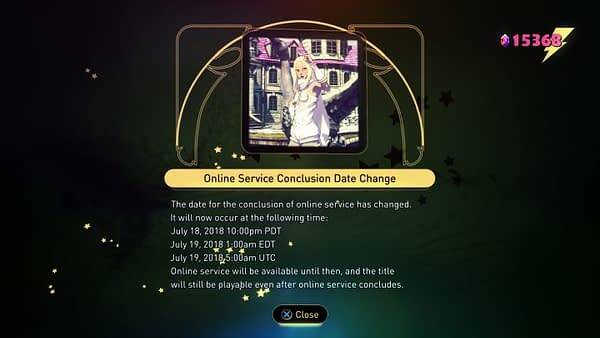 Now, thanks to Reddit user Hartia, it appears that Sony has delayed the server shutdown to July 18 at 10pm PDT. Thanks to Gravity Rush 2′s passionate fanbase, the game has been saved for a few months. The Gravity Rush 2 fans have been trying to convince Sony to keep the game’s severs active so they can continue to send each other various challenges and Treasure Hints. When the game’s online functionality does come to an end, players will no longer be able to do so or access the online leaderboards. GR1 and GR2 are both very fun Platinums. Not too hard or grindy at all. Some of the ‘race course gold medals’ might seem tricky at first, but you can upgrade Kat’s powers (and equip talismans in GR2) to make them pretty easy by the time you are powered up late game. And with any sort of ‘race course’ you practice and learn the route and shave your time down. Most gold medals I got on 1st try and the most any single one took me was like 5 or 6. GR1 and GR2 are both open world games with no missable trophies. And you don’t need the online serives to Plat it.